An explosion at Lake City Army Ammunition Plant Tuesday afternoon killed one person and injured four others. One employee was killed and four more were injured by an explosion at the Lake City Army Ammunition Plant in Independence, Missouri. The Joint Munitions Command says the explosion occurred at approximately 1 p.m. Tuesday in a primer mixing cell. The injured workers were evaluated on scene and refused further treatment. “A primer is basically an initiator for a small caliber round and we mix those energetics at this facility to put in the primers that are installed in the round,” says Jim Nickels, General Manager for Orbital ATK at Lake City which operates the plant for the Army. The plant was closed for the rest of the day. Workers will be told Wednesday when they should return to work. “Making ammunition is dangerous work and our employees risk their lives to protect our men and women in uniform. This is a sacrifice they make to support our county and I’m humbled by the ultimate sacrifice this employee made,” says Lt. Col. Eric Dennis who is the plant commander. The Lake City plant makes small-caliber munitions for the North Atlantic Treaty Organization (NATO) test center. The facility opened in 1941 and is made up of 408 buildings on 3,935 acres. Government staff there include 29 Army civilians and for-contract oversight. Contractor statistics are not available because they are considered proprietary. The federal Bureau of Alcohol, Tobacco, Firearms and Explosives has secured the scene and is investigating. Sam Zeff covers education for KCUR and the Kansas News Service. He's also co-host of KCUR's political podcast Statehouse Blend Kansas. Follow him on Twitter @SamZeff. 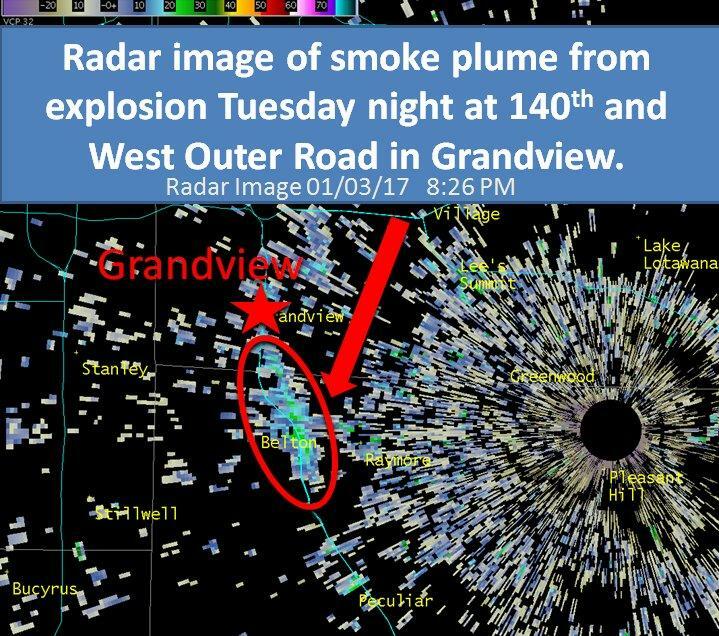 People across the south Kansas City area felt a blast Tuesday evening after an explosion at a lawn care business in Grandview. Firefighters were called to JW Lawn Service near 140th and I-49 after receiving calls about an explosion and fire shortly after 7 p.m. Firefighters took a defensive position, waiting to go into the burning building because of reports of ammunition inside. They reported at least a dozen more explosions while on the scene. Many Kansas Citians still remember the morning of Nov. 29, 1988. That was the day a blast miles distant woke tens of thousands in the metro in a tragedy that claimed the lives of six Kansas City firefighters. Now, a stage production explores some of the mysteries that remain about the events leading up to the explosion.